Closets as Rooms | spark! ← Heading out to the Pool…. As part of Project Big Girl Room, I was thinking about turning one of my daughter’s two CAVERNOUS closets into a little room. The room would function as a reading nook/play space. I am envisioning comfortable chairs, floor mats, and/or bean bag chairs, a little bookshelf and a small table, with lots of wall art and maybe some horizontal stripes on the walls and doors? 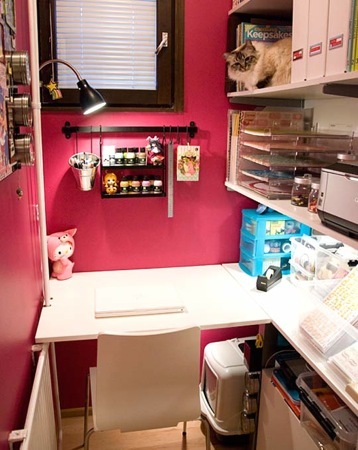 So, as far as inspiration goes, I am inspired by closets turned into home offices and reading nooks. Home offices are a stretch for my not-yet 3 year-old, but that seems to be what a lot of people turn closets into! The creativity below will knock your Ferragamos off…. What do you think? Can I pull it off? 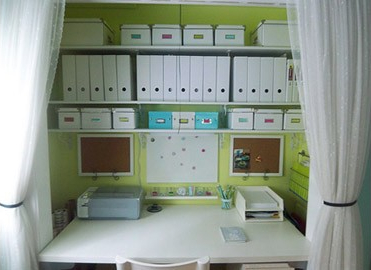 This entry was posted in Bedroom, Children, Home Office, Storage and tagged Bedroom, Closet, Closets as Rooms, Home Design, Home Office, Interior Design, Reading Nook, Storage. Bookmark the permalink. Love that idea. I looked into putting a special reading area in david’s room but there wasn’t a place. Now I am inspired to do it at the lake. There is plenty of room down there. Thanks!!!!! 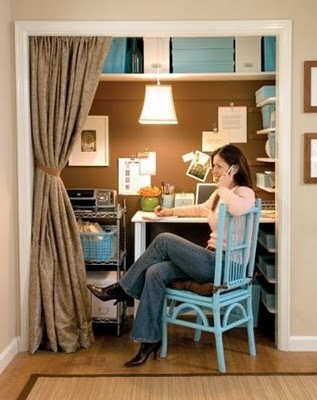 I think this is a fabulous idea … I only wish I had a closet to read in as well (ah, old houses = no closets). 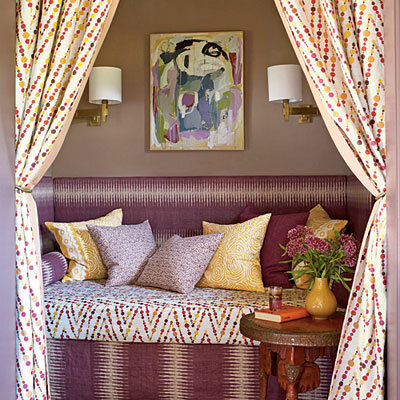 I think you could still do long curtains (even with the doors on), as long as you mounted them inside the door frame. I think it would add to the coziness of it all! Oh! 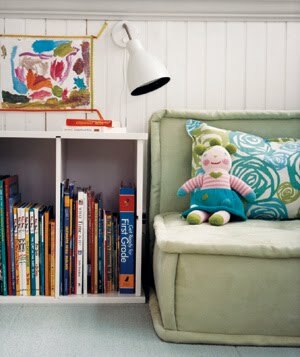 And I love the idea of a really special paint color or wallpaper inside the closet/library, to really set it off. I’m a big girl and I want one!!! 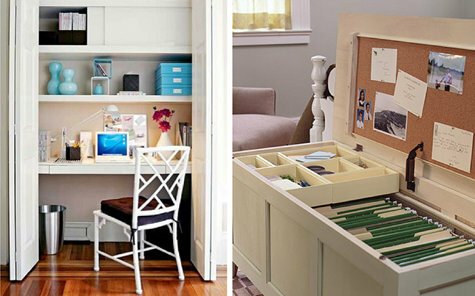 I adore when people turn closets into rooms! Oh, your daughter will just love it. I wish my girls had cavernous closets! The last pic is my fave-so cute and cozy! Oh em gee! This is genius! I hadn’t thought of that and to think, I really, truly need somewhere to relax…. and pay bills. Boo to bills! 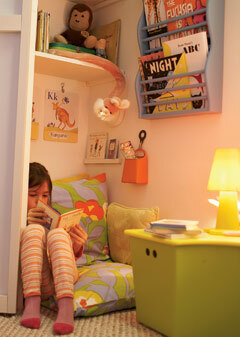 Pingback: Project Big Girl Room: Update and Sneak Peeks « spark! I started doing that for the alcove in Henry’s room until I realized his toddler bed fit perfectly in it, and we haven’t moved it out. . but as soon as we have no more need for the toddler bed- I want to put the bookshelf back with some pillows and a little rug and pictures! Unless he’s so old by then, I decide to do a built-in desk or something!